"Wow, she's a real beauty!" 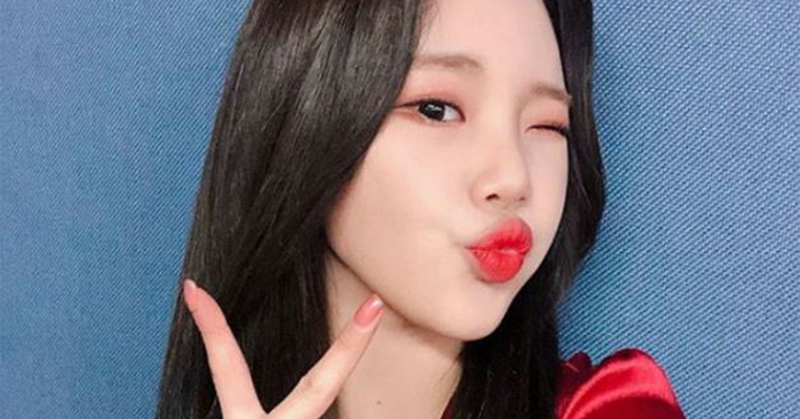 MOMOLAND's JooE disclosed a photo of herself with a raven black hair for the first time ever since her debut. Back on October 3, there was a photo wall held at Asiad Main Stadium in Busan for the 5th Asia Song Festival. While JooE let people at the site stunned by her sudden transition, she seemed innocent and fresh with a new hair color. Many found her makeover drastic as her previous hair colors were comparatively striking such as pink and blonde. 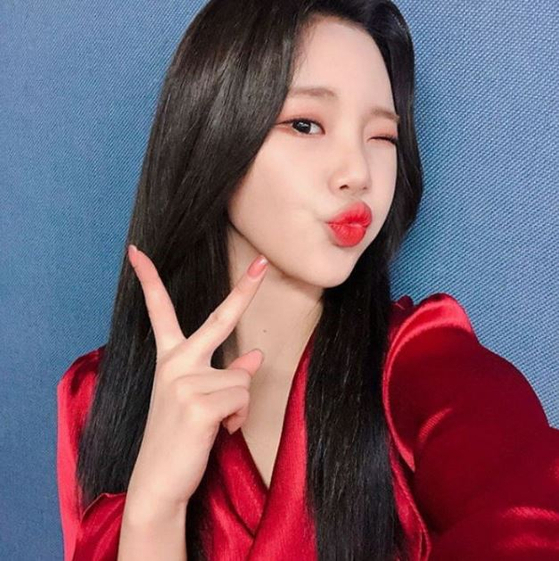 JooE also updated MOMOLAND's official Instagram with a selfie showing off her new black hair to the fans. And she did not forget to leave a message to 'Merrys', "How do I look today? Can't you tell any difference!! Hehe Merrys, please watch out for the cold. It is already autumn!!" Netizens who've taken a look at JooE's new visual mainly responded that it suits her well as much as other fancy hair colors so far.